For the second time in my life I spontaneously flew to Istanbul last week, in order to practice yoga and to visit some friends. What a wonderful decision I made! The city, being part European and part Asian, is so big, colorful, bustling, exciting and somehow exotic – at least when you are from Berlin, like me. 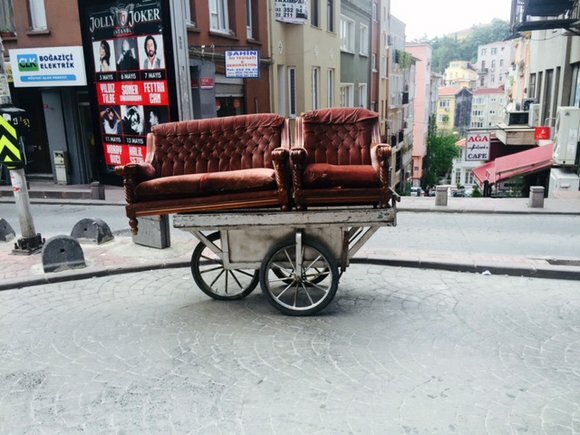 Most of the time I spent in the hip neighborhood of Beyoğlu, or to be more precise in Cihangir, not far from Taksim Square, where the big demonstrations of the city are hold. Cihangir is full of small streets and alleys. You feel immediately far from the hustle and bustle of Istanbul. It’s absolutely wonderful to just stroll through the streets, where you can find cozy cafés, vintage shops, restaurants and a lot of inviting antique shops. 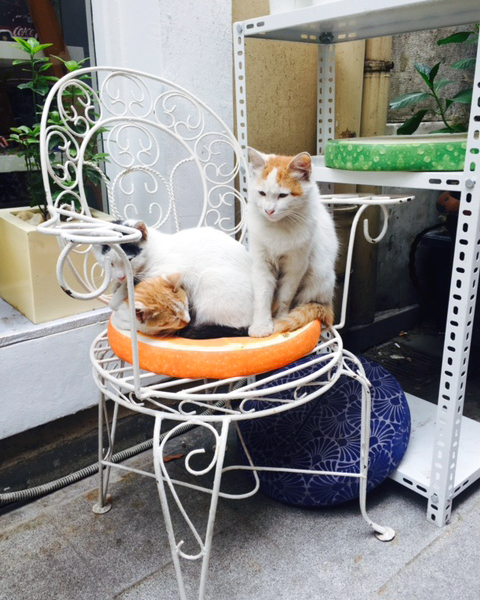 If you are lucky, you will be able to see the true kings of the city sitting in front of the shops: cats. Sitting enthroned and proud on chairs, fabricated particularly for them, and yawning lazily, they are always happy about a little attention. Others like it a little more discreet and enjoy the sun behind the shop windows – completely relaxed and peacefully. This leads us directly to the main reason of my visit. Yoga in Cihangir is not only popular with cats – but especially with humans. Somehow hidden you can find a beautiful yoga studio, with an amazing view on the Bosporus, which sparkles and flows in the rhythm of the city. 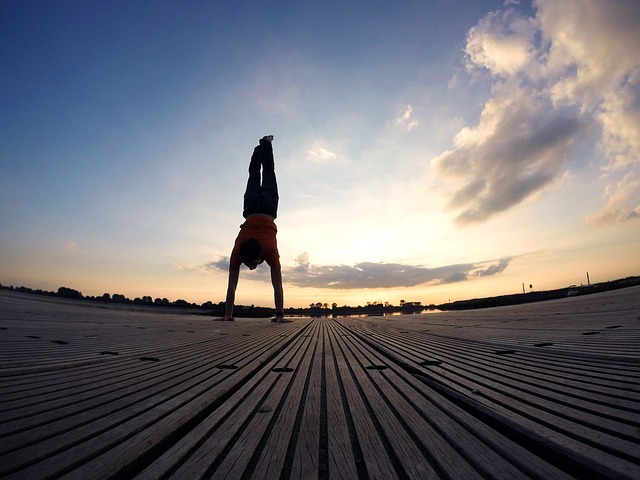 Cihangir Yoga is a studio that offers classical Hatha Yoga, Yin Yoga, Vinyasa Yoga, meditation and pilates. Entering I immediately saw the big lounge area to relax and to wait for the classes to begin – wonderful. If slouching on the couch is not enough, you can look around in the shop. There you can find really amazing chakra essential oils, malas, clothes, books and yoga equipment at an affordable price. 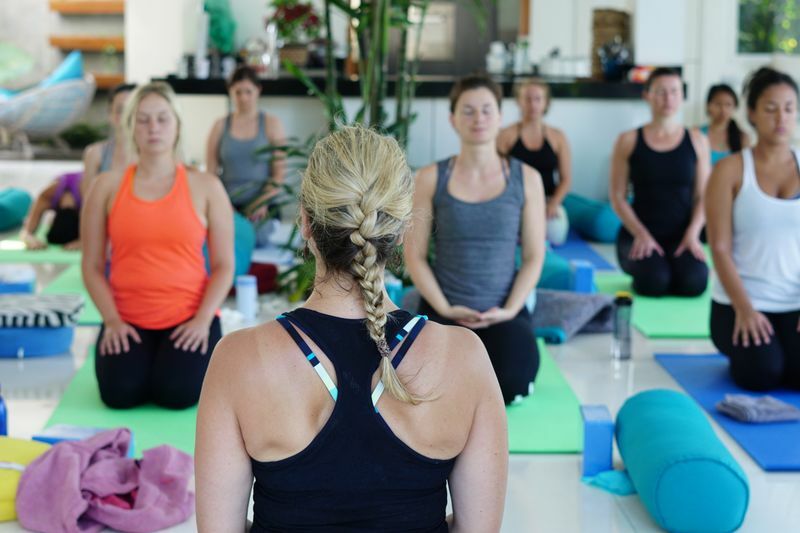 Next to about 80 yoga classes, you can also participate in teacher trainings or one of the many workshops with international guest teachers like Sienna Sherman and Elena Brower. There is a fair amount of mats, covers, blocks and straps, so you don’t have to worry about those. You only have to look for a nice place to practice, preferably with a nice view of the surrounding trees. My teacher Rana Orten radiates such a disarming happiness and charming presence, that I forget completely that I do not speak any Turkish. Yoga does not need any language, a sentence coming to my mind right after class. It’s a universal language that is understood all over the world. This realization really touched me, this bond that does not need any language. If you want to deepen your practice through a workshop or just want to discover a new fascinating city, I I really recommend to visit Istanbul for a yoga retreat! Book a yoga retreat with Nicole and Sandra. Go to Holistic Yoga Retreats and be spoiled by their great holidays! Thanks for reading this post. 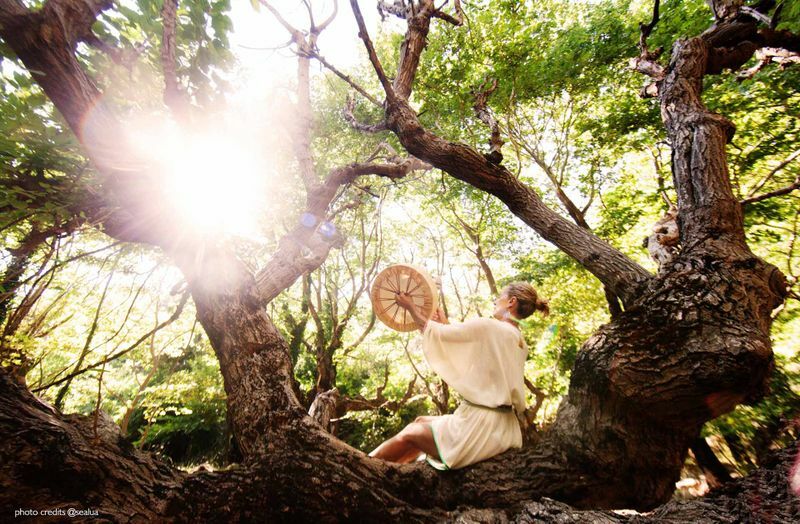 Looking for more yoga retreats in Istanbul? 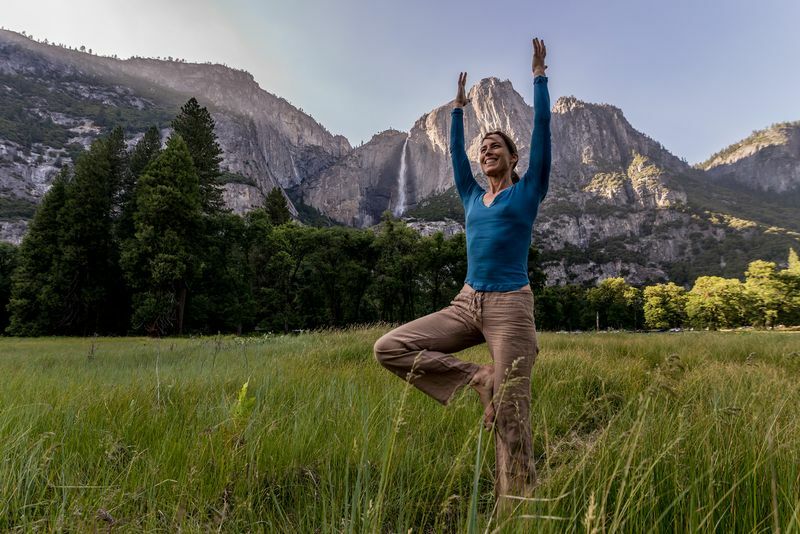 BookYogaRetreats.com has the largest offering of yoga-focused travel and training courses available on the web! I was born in 1976 and I have been living in Berlin since 2001. I finished my training with Spirityoga in 2011. Since then I teach open classes, workshops and private classes, and I organize yoga retreats. My style is very much influenced by Vinyasa Flow, but I also like to incorporate elements of Kundalini, Hatha yoga and Anusara yoga. In my classes it is important for me to ground my students, and to transmit the feeling of inner and outer stability, while staying soft, open, joyful and curious.